The Creative Movement Program is designed for our 3 & 4 year old dancers. 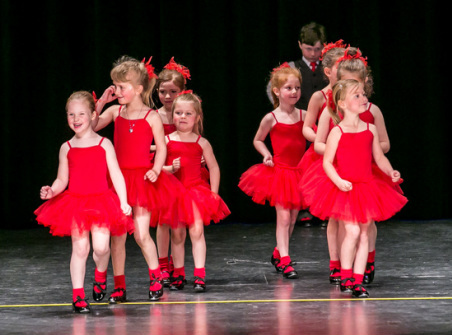 This program incorporates the stage dance forms of Jazz, Ballet & Tap. Alternating weeks of Tap and Jazz/Ballet will be taught throughout the session. Creative Movement explores sensory experiences that can lead children to appreciate the creative forms in nature, art and literature, as well as the beauty of their own movements. Our program is similar to the goals of early childhood education programs where there are positive, non-competitive, success-oriented and creative experiences for young children who are valued. Classes are presented in an imaginative age appropriate manner. We use music, games and stories, allowing students to explore movement while using their imagination and developing basic dance techniques. Our "little cuties" prepare for our annual Recital Day to be held at Hants East Rural High on the "big stage" at the end of our dance season. The Recreational Program is designed for our 5-year-old to teen dancers who are looking to explore the amazing world of dance. This program offers students a one-class per week dance form of their choice. Students will learn the techniques of their chosen dance form throughout the year. Combinations, routines and technical work are used to allow students to develop at their own pace. Each class will also prepare a routine for our annual Recital Day to be held at Hants East Rural High at the end of our dance season. 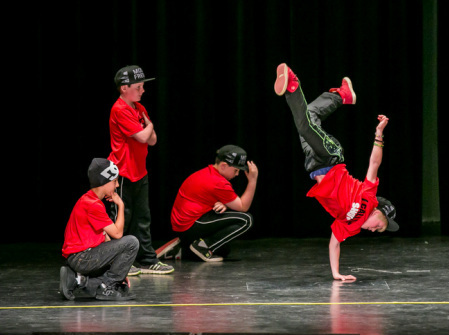 The dance forms offered under this program are Jazz/Hip-Hop, Ballet, Acro, Hip-Hop, Musical Theatre, BoyzOnly Hip-Hop and BBoy classes. The Competitive Program is designed for dancers looking for a more intensive class structure. Dancers involved in this program will study and follow the B.A.T.D. Exam Syllabus. Competitive dancers will have the opportunity to attend two competitions throughout the dance season. They will attend a local competition, as well as another competition, possibly out-of-province, that is decided on by staff at the beginning of each dance season. When dancers register for and are accepted into the Competitive Program, they and their parents or guardians understand that the participation in exams and the two competitions are mandatory.